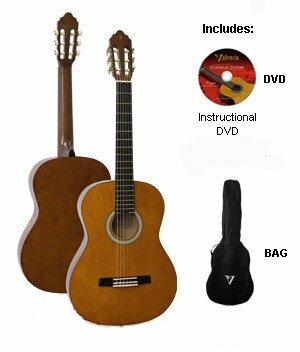 The Acoustic Classical Guitar Kit - Great Starter Packs! If you search for acoustic classical guitar kit on google or yahoo you'll get a mixture of results. 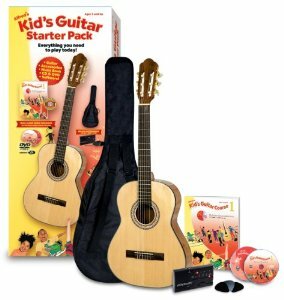 The description covers kits put together for students and beginners which include a student guitar, usually half or three quarter size, along with a selection of accessories. The search will also bring up sites offering guitar building kits. These consist of all the parts needed to build your own classical guitar. These kits don't come within the scope of this page as they are woodworking projects. However, we are expanding our section on how to build classical guitars. 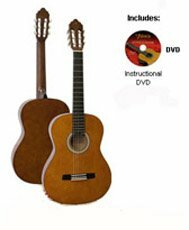 The section will include build your own classical guitar kits as well as books, diagrams and links to websites that take you through the process. A typical guitar kit will consist of a guitar, spare strings and a gig bag. 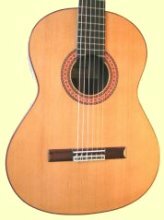 Some classical guitar kits will also include a hardshell case, a stand or even a footstool. Beginner kits often include a DVD to get you started. Click any of the images or links below to find your kit. All are available with secure online ordering and FREE shipping to your door! There's no point in starting out with an inferior guitar. Some of these kits are packaged to attract gift buyers. The problem with that is they're often bought on the basis of attractive packaging, coupled with low price, and can be of poor quality. 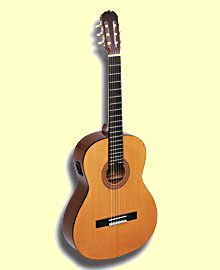 Nothing is more likely to put off a budding classical guitarist than a difficult to play, difficult to keep in tune guitar. 1.) Don't go for a cheap kit. If it's too cheap, then it's a toy. 2.) Play safe. There are kits by well-known manufacturers, such as Hohner, Encore and Yamaha at reasonable prices. You're not going to get a concert quality guitar, but it will be playable. It's in the interest of these companies to see beginners progress to better instruments in their range. 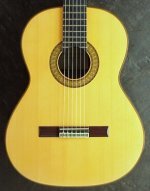 You can get a kit built around one of the Yamaha C40 classical guitars for around $150. Below this sort of figure it's a toy not a serious guitar. The following holds true with so many things, but it's especially important when you're trying to encourage someone to learn to play classical guitar. 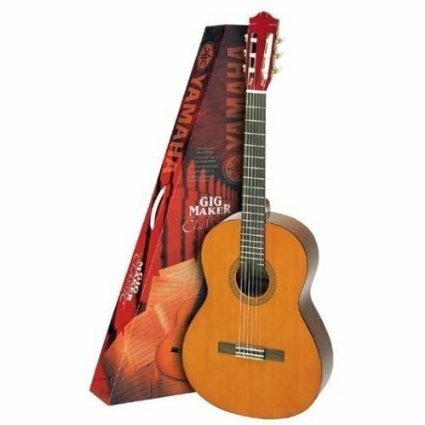 Decide on a budget, and then buy the best quality classical guitar kit you can for that price.